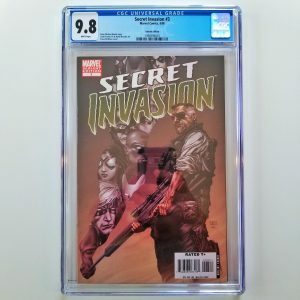 The final appearance of the New Mutants, this near mint+ issue of New Mutants #100 CGC 9.6 is perfect for any collector of graded comic books. Available for sale is New Mutants #98 featuring the first appearance of Deadpool graded by CGC in 9.0 VF/NM condition! 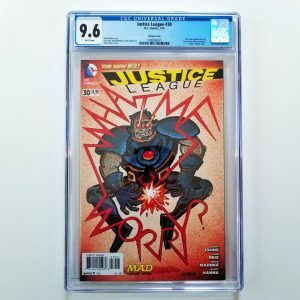 This highly collectible comic is a must have key issue for any serious collector of comic books. Add it to your collection today! This graded issue of Punisher: War Zone #1 just came back from CGC graded in near-mint+ 9.6 condition. With a die-cut, wraparound cover this issue personifies what collecting comics in the 90’s were all about. Oh, and with the Punisher Netflix series set to launch soon, you can be demand and prices for key Punisher comics like this one will go up quickly. This item as listed has been sold, search on eBay for others like it. 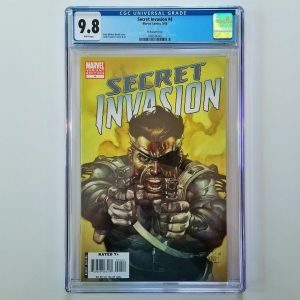 Available for sale is the eBay Exclusive Variant of Return of Wolverine #1 graded in 9.6 NM+ Condition. 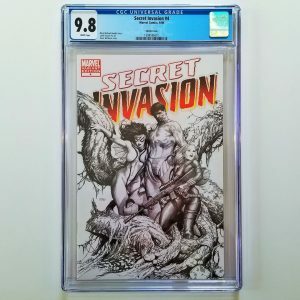 This limited edition comic was published by Marvel Comics in 2018 and distributed by My Comic Shop to be sold exclusively on eBay. Only 3,000 issues of this Neal Adams variant cover were printed. 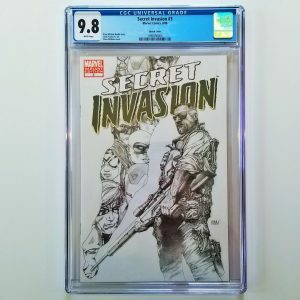 Available for sale is Secret Invasion #7 CGC 9.6. This is the Leinil Francis Yu 1:75 Sketch Variant. As of now, rumors are swirling that a Secret Invasion storyline will be the driving force behind the MCU following the events of Avengers 4 in 2020. If you’re into speculating about which comics may become more popular in the years to come based off movie storylines, this could be one of those issues. This graded issue of Spawn #9 featuring the 1st appearance of Angela just came back from CGC graded in 9.6 NM+ condition. With Todd McFarlane’s announcement of a new Spawn movie at SDCC, demand for key issues of the series is starting to increase accordingly. Grab this one today and add it to your collection!